Yesterday, we were invited to an exclusive tech briefing on the Veritas 360 Enterprise Data Management (EDM) system. Veritas, as you may know, is famous for its enterprise backup software – NetBackup. But as enterprises migrate their data to the cloud, they are transforming themselves beyond backup. They are now delivering enterprise data management (EDM) solutions. 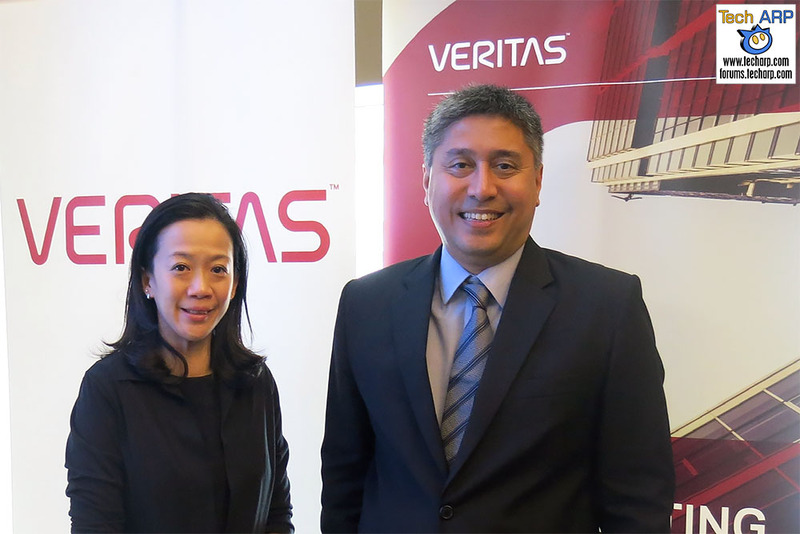 Raymond Goh, Head of Asia Pacific and Japan Solution Architects Group, Veritas Storage, flew in from Singapore to give the briefing on the Veritas 360 Enterprise Data Management approach. Check it out! Data is growing exponentially, and organizations struggle to have visibility to it and keep costs and risks under control with hardware alone. Information is everything and data is an organization’s digital currency– it is a critical business asset that is exponentially growing in value. Veritas’ approach is to completely abstract the value of that information. Veritas is exclusively dedicated to 360 enterprise data management. The ability to transform your data into a strategic business asset starts with providing three core capabilities – Insight, Availability and Protection – need to be applied across the entire IT landscape in a scalable, consistent and manageable manner, rather than in silos. Adopting a software-based approach, with the ability to span across many different environments, to apply polices centrally and integrate these capabilities (no longer enough to provide these independently) to further reduce complexity and achieve synergies. A 360 approach to enterprise data management brings a fourth element to the equation: convergence between Insight, Availability and Protection into combined solutions that offer greater business value. Veritas provides enterprise data management to global customers with an award-winning portfolio of insight, availability and protection solutions. Next : The Fujifilm GFX 50S Mirrorless Camera Revealed!